Romeo and Juliet (MP3 CD) | The Drama Book Shop, Inc.
Blackstone Audio is proud to present the Oregon Shakespeare Festival's 2012 production of Romeo and Juliet, one of Shakespeare's most beloved tragedies. This stunning work of audio theater, fully dramatized with performances by the OSF cast, is a must-listen. A love to die for...When you are passionately, purely in love, nothing else matters--not even life itself. 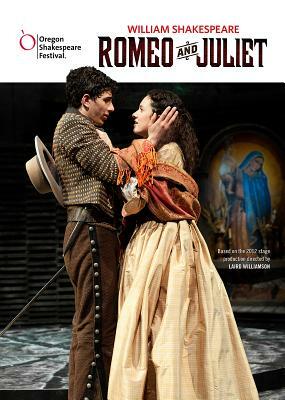 Shakespeare's consummate tragedy of young lovers swept into a catastrophic vortex of misunderstandings, secrets, and fate is set in 1840s Alta California, a vibrant and conflicted time in our history. Romeo and Juliet, the son and daughter of two landed families locked in an old feud, are irresistibly drawn to each other. Defying the hatred and distrust surrounding them, they dare to believe they can--and must--be together.